You are working for a company located in the Netherlands. Your manager is the nostalgic kind of guy and wants you to configure the RIP Routing protocol on all of their routers. You try to convince him to run OSPF or EIGRP because of faster convergence, but to no avail….time to get the job done. All IP addresses have been preconfigured for you. Utrecht: make sure you accept version 1 and 2 routing updates. Change the configuration on all routers so the subnetmask is sent along with the routing updates. Amsterdam: make sure no routing updates are sent to the loopback interface. All routers: Change the RIP timers so routing updates happen every 10 seconds. Utrecht: Advertise a default route into RIP. It took me 1000s of hours reading books and doing labs, making mistakes over and over again until I mastered all the protocols for CCNA. Would you like to be a master of networking too? In a short time without having to read 900 page books or google the answers to your questions and browsing through forums? 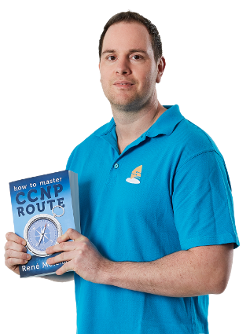 I collected all my knowledge and created a single ebook for you that has everything you need to know to become a master of CCNA. You will learn all the secrets about switching, routing, subnetting and more. Does this sound interesting to you? Take a look here and let me show you how to Master CCNA! Once you are logged in you will find the configuration files right here. 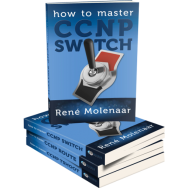 Do you want your CCNA or CCNP Certificate? The How to Master series helps you to understand complex topics like spanning-tree, VLANs, trunks, OSPF, EIGRP, BGP and more. Master CCNA and CCNP Today! i am using a different IOS [c3660-telcoentk9-mz.124-13b.bin] and i came to the point where i need to get it to advertise a Default route and got quite stuck ! Be careful with other IOS warnings, some of them might give you a hard time…crashing Dynamips and such, or features that don’t work. 1) The “Network” command tells the router on which interface to start talking RIP, it will also advertise the network that you configured on the interface. If you use the command ‘network 0.0.0.0’ it will activate RIP on every interface that falls under the 0.0.0.0 range…of course that is every interface with an IP address. If you have for example 192.168.12.0/24 on an interface, then this is what the router will advertise to it’s neighbors. Now about creating a default route…. a) By creating a summary, you need to do this on an interface level by using the “ip summary-address rip” command. I don’t know how to do this part: Amsterdam: make sure no routing updates are sent to the loopback interface. I was thinking about to use passive-interface. But I found out that only ensure the interface will not forward information. But it will still receive. So what should I do to meet this requirement. The static default route appears to work, perhaps GNS3 went quirky. The other routers worked fine with the “default-information originate” command. Thanks so much for this lab and I will definitely continue on with the others. Hmm normally default-information originate to advertise a default route shouldn’t be a problem in RIP. About the default network on Utrecht. I have solved it another way. It is with another command but I am worndering what your take on this one is? Hey Rene how I have a Mac and when I tried to open the Rip Beginner lab it does not open. How can I do this? What error do you see? If you post this in the forum i’ll answer it there ok? All routers: Change the RIP timers so routing updates happen every 10 seconds..
we can change it by this command.. But when i downloaded the final config from website then i saw that we have configured both the commands on all the routers. i am not sure whether it is compulsory to type both the commands or we can use any one command to accomplish the task. Please help me out in this..
Not sure what I did when I recorded this video (been a while ago). The difference between those commands is that the first one is global, the other one is for the interface level. May I have a queston? I am just wondering what if we have 2 links between R1 and R2? How does RIP choose which one is beeing used during the routing pocess when each link has the same admin distance? where do i find GNS3 video tutorial from scratch? Thanks for another great lab Renee! Regarding the requirement for all routers to send the subnet mask in their advertisements, it is the "version 2" command, and not the "no auto-summary" that does this. RIPv1 does not send subnet masks in updates, this is what makes it a classful routing protocol. Since it doesn’t know what the real mask of an incoming route is, it makes an assumption based on the network class of the route. However, if the router has an interface with an IP address in the same major network as the incoming route, it can assume that the subnet mask of the incoming route is the same as the one on the interface. RIPv2 does not have these problems, since it always sends the subnet mask with all updates, whether they are summarized or not. The "no auto-summary" command simply disables the default behavior of RIP that summarizes networks at classful boundaries to their classful subnet mask. Did this Lab using 7200 routers on a previous version of GNS3 (0.8.4), as the latest version was giving me some errors setting the Idle Pc time…..and all steps\commands completed successfully per the video! Great Lab!